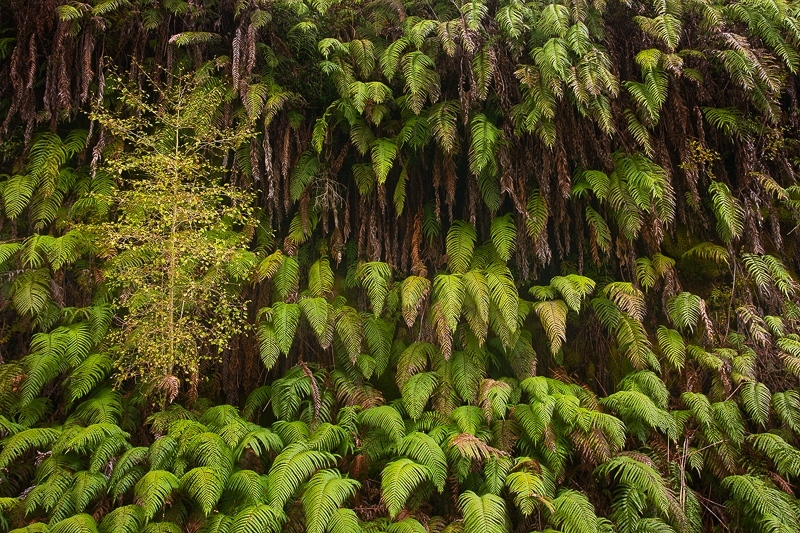 While driving somewhere at the west coast, I suddenly saw that great wall of fern. I stopped my camper van some meters later, took my tripod and shot some fast exposures while standing on the road. To make it more interesting for the eye I included the little tree together with the fern to give some point to focus.